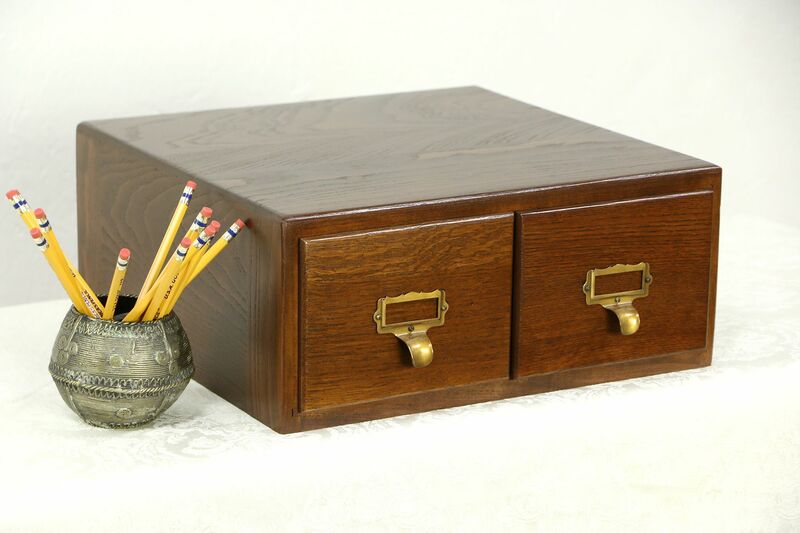 A solid oak 4x6 size card file dates from the 1930's and has an excellent restored finish. Brass pulls with label holders and pushers inside the drawers are original. Signed "Imperial," this vintage library or office furniture is desktop size. Size is just over 15" wide, 15" deep and 6 1/2" tall.